Adwords are those little messages that you see in some web sites and along the search results when you use the Google search engine, advertising products are services. Adwords are a reliable and effective way of bringing new customers to your web site quickly. They can be used as a short-term approach to boost the number of people visiting your web site and turning them into potential customers. Adverts can be specifically targeted to particular search phrases so if somebody searches for 'good bed and breakfast in Kent', your advert will appear within the Google search results. To get started, you will need to decide on an account balance, which we can help you with. If and only if a person clicks or your advert and visits your web site, will you an amount be deducted from your balance. We can also schedule your adverts so if, for example, you know that most people search for services at a particular time of the day, we can turn your advert on at just those times. Or if your office isn't open between 1p.m. and 2p.m. each day, we will turn off the adverts then so that you do not receive any new calls at those times. 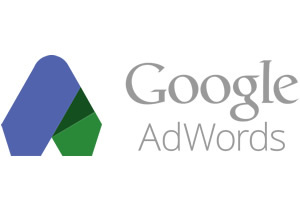 If you would like to discuss your options with Google Adwords, please get in touch.